Berry Blue is a true periwinkle. 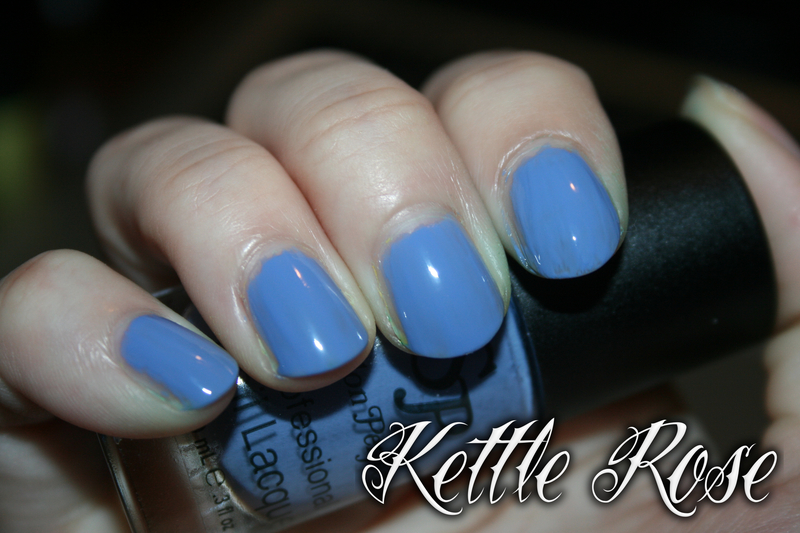 This is opaque in just two coats, not too streaky. Close to Electric Beat, I believe. Berry Pink is a fuchsia with light and dark pink shimmer. It’s really something. Opaque in two coats, easy formula. 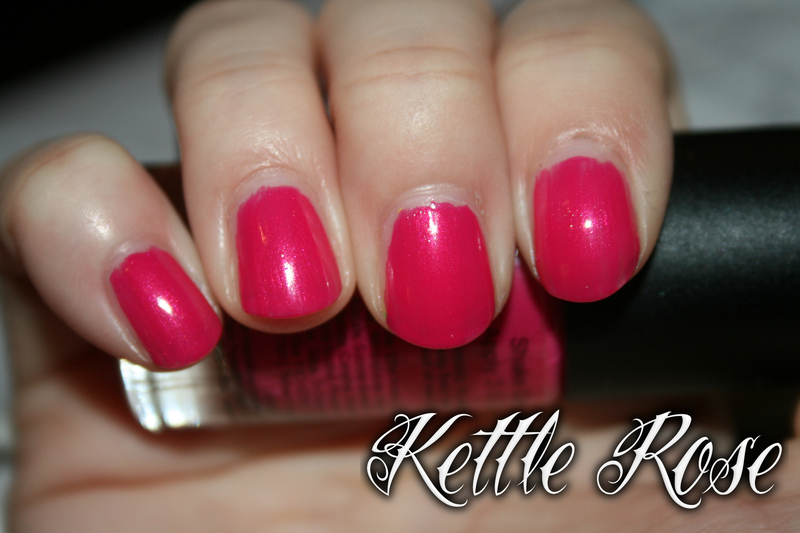 Bubblegum is a stunning (shockingly) gorgeous sweet pink with loads of shimmer. Completely opaque in 3 coats, and beautiful. Not as frosty looking as it does in the picture. I didn’t think I’d like this… I absolutely hate pink! Yet I love it. Lavender Icing is described as a soft lilac, and I agree with that. This made my camera freak out, but it’s a super soft and friendly-looking lilac. 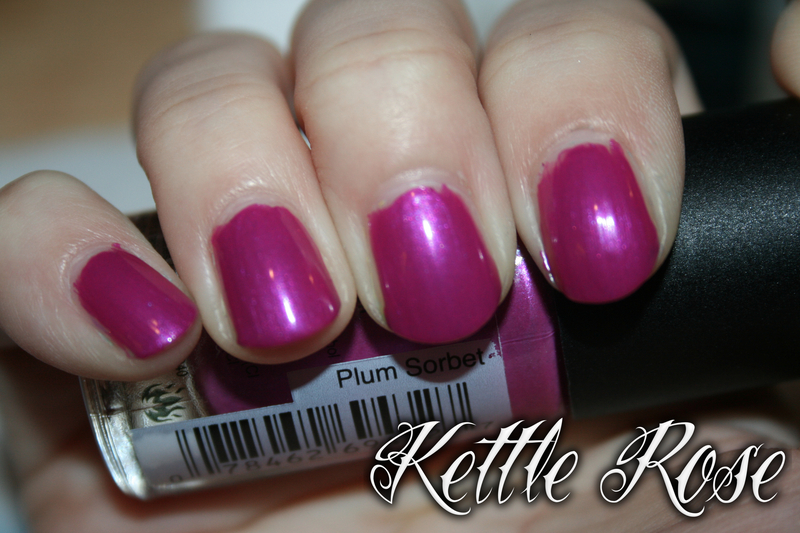 Plum Sorbet is described as a magenta with purple shimmer. This is exactly right, and there’s also some copper-ish and blue flash to it as well. Opaque in two coats. A lot of people will love this color, and if you’re one of them, pick this up. I don’t love this color, as I’ve made apparent, but that’s my opinion. And thats what all this is about, right? Right. Continuing. Purple Sorbet is described as a dark lilac. While I don’t really think of this when someone says lilac, it’s a gorgeous soft floral-looking color. I really liked this one. This entry was posted in Nails and tagged Salon Perfect, Salon Perfect Berry Blue, Salon Perfect Berry Pink, Salon Perfect Blooming with Color Collection, Salon Perfect Bubblegum, Salon Perfect Lavender Icing, Salon Perfect Plum Sorbet, Salon Perfect Purple Sorbet by Britni Rose. Bookmark the permalink.